I’m surprised that KyouSaya vs. MadoHomu came out so evenly matched. Huh, didn’t expect so many people to have English as their second language. Also Madoka Magica pairings unsurprisingly continue to be polarizing. Wow, KyouSaya is sure surprised me. And reading list of responses is very fun. Thank you guys :). It’s amazing how you put all that amount of information organized and tidy. Expecting more surveys and the like for the future. There where a lot of Miku x Hibiki and Aya x Yoko suggestions in the pairings you haven’t done section. 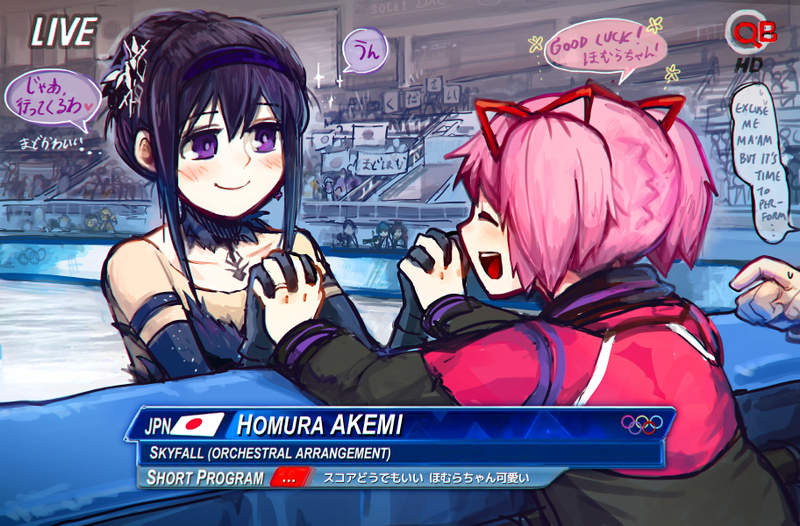 Though, technically you’ve already done Aya x Yoko. So does that mean you’re going to pick up some of those? But I am disappointed I didn’t see more people want Uiharu x Saten, because those are rare. For quite a lot of the suggested ones, doujins simply do not exist. Would be nice if they did, but ultimately we can only do what japan produces and we can get our hands on. Though we will have some stuff coming up in the future that people have requested. Yeah, people did request some pretty obscure pairings. But those three, I assumed were fairly popular. Because they are rather mainstream. Until I actually looked. I found one Hibiki x Miku, no Aya x Yoko; past the one you already did (though I did find one of Aya shlicking with Yoko’s pen), and a couple Uiharu x Saten, but they did not look very good. Oh well, guess that’s what I get for assuming. But, I don’t suppose you’d feel spoiling us to as what those pairing might be, would you? The one thing I can say for sure now is that we’ll be doing more Strike Witches, and not just all Eila x Sanya (though we’ll do those too). Hopefully japan will deliver on Kill la Kill yuri for C85. Ah, Strike Witches. Those are always good, and I’m sure there are a ton of them out there considering how large the franchise is. If there is any Kill la Kill at C85 it’ll probably be ALL Ryuko x Satsuki. Japan is eating up that Foe Yay ship. Personally I like Ryuko X Mako more, but that’s just me. Would love to see more lovey-dovey story from Love Live! like you guys did before. 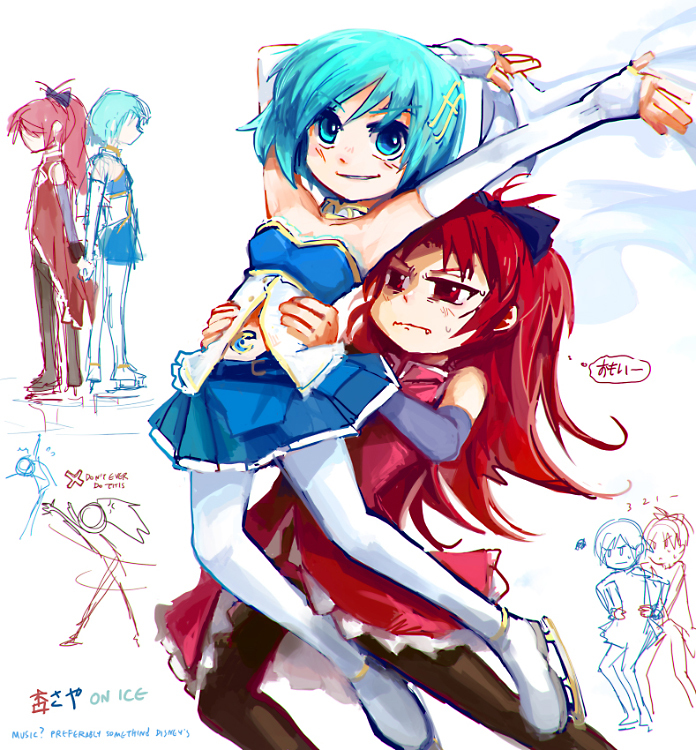 And yes, KyouSaya is big surprise for me. I thought I had a heart attack when saw the result =}. Kyo/Saya won by 3 on the last question. Woooo!